Product code: 394 Categories: Sold Items, Sold earrings. These are a wonderful design! With so much attention to detail they look so good when worn on the ear. 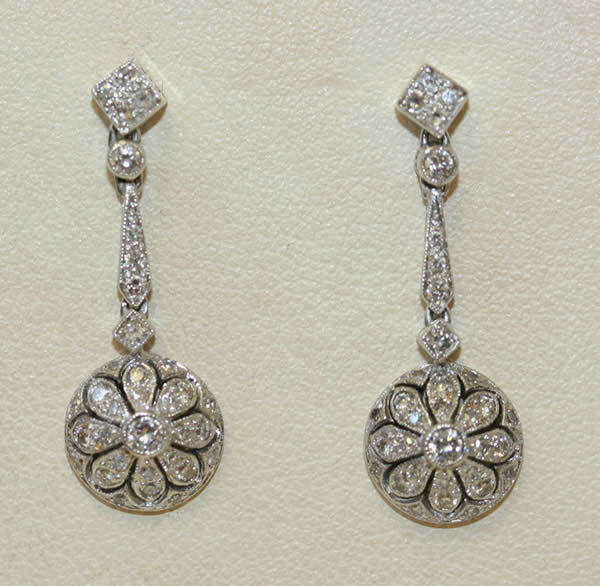 Made in 18ct white gold with brilliant cut diamonds totalling 0.56cts, they have a real sparkle to them. Look at the other images to really appreciate the work up close.